Educators are constantly searching for ways to enrich education for students. Engaging students can be enhanced with classroom technology which is growing faster than ever. Check out these 4 important trends in classroom technology that should be a part of every school wireless network. The use of the Internet, instructional visuals, and simulations are vital to every classroom. Kids these days have grown up around technology and are used to visually stimulating mediums. 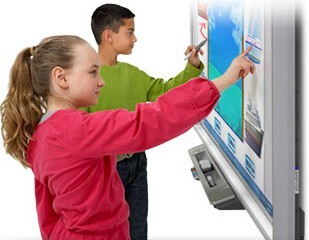 Many classrooms these days are improving visualization by adding large screen displays and projectors. High definition video, enhanced sound, and fast, secure wireless networks are making a difference. Even simple changes, such as reinforcing the teacher’s voice, are helping students better engage with the instruction. Every educator knows the importance of getting students engaged in learning and how this can be quite a daunting task, but implementing interactive technology can definitely change that. Many schools have already enhanced their interactivity using interactive whiteboards, on-screen explanation, and various types of collaborative software and systems. One good example of this is smart boards, which have web access built right in and many run interactive software that enhances the materials in each class. Teachers can also save content from class and make it available to students online for later review. Providing teachers with the ability to capture video and audio of lectures and classes has proven tremendously helpful, whether for live viewing off-site or review later from a video-on-demand server. 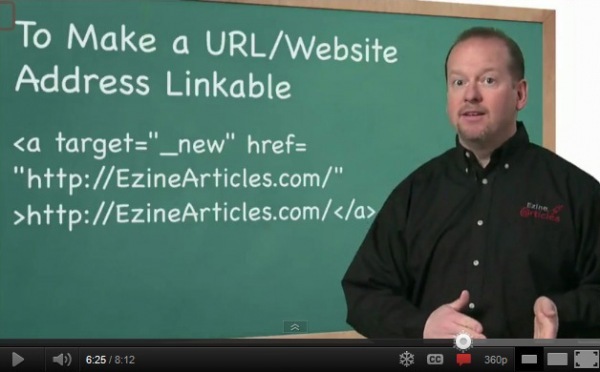 Videos can also be uploaded to YouTube very easily and inexpensively with a webcam and by adding web conferencing software and you can tie in a remote teaching source as well. 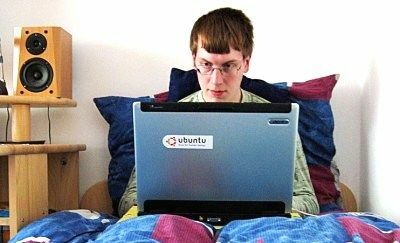 Absent students can keep up with their classes and students can go back to content available online to review and study. Imagine bringing in guest speakers and professors from campuses in China without any cost. Well that can easily be accomplished through distance learning. Distance learning can cross all boundaries; across campuses, cities, states, countries, and even across the world, allowing students to experience cultural exchanges without leaving their classroom. Distance learning is cost effective due to the fact that you only have one paid teacher for multiple classrooms. It's also one of the fastest growing sectors right now and it's being integrated by everyone from major universities to k-12 schools. 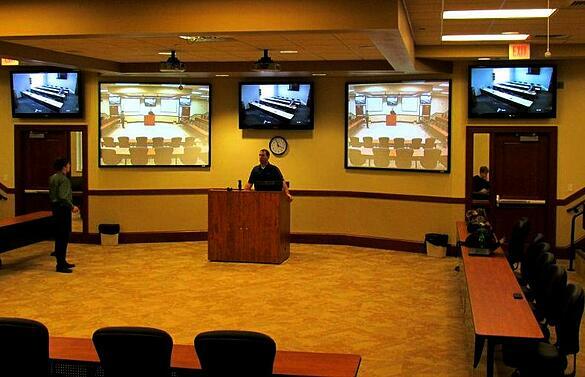 Pictured below is a distance learning classroom we installed recently. Students can view not only the teacher, but the whole other class as well. This along with microphones around the room makes interaction between classes alot easier. All of the above improve the quality of learning for students and increase the ability of instructors to capture students’ attention and imagination. Implementing these ideas can make can make educational outcomes improve measurably. As technology in the classroom increases, the IT department needs to know everything about their school wireless network, what they can support and how they can plan their school wireless network to support devices of the future. SecurEdge Networks provides planning, deployment, and design for school wireless networks as well as installing the types of audio and video technology in the classroom. Contact us with any questions or for a Free Consultation! You can also download our free school wireless design guide. Good luck implementing these exciting technology in the classroom trends into your school wireless network!